The terms and conditions set forth below (the "terms") govern you and your relationship with us while on this site on the World Wide Web (the "site") and in connection with your use of this site, and are legally binding on you. If you do not agree with any of the terms, please do not access or otherwise use this site or any information contained on this site. Your registration and/or your use of the site shall be deemed to be conclusive evidence that you have read these terms, understand them, and agree to each and every one of them. All references herein to "you", "your" or the like shall be deemed to mean the person visiting or using this site and/or the person registering to use this site, to submit photos or other information, or to obtain products or services from this site. The Cute Kid, Inc. grants you the limited right to display the Materials only on your personal computer for your personal use. You agree not to use the Materials for any other purpose without the prior written consent of The Cute Kid, Inc. Specifically but without limitation, you agree not to reproduce, redistribute, sell, publish, broadcast or circulate any information contained in the Materials to anyone, including others in the same company or organization. You may not post content from this site to news groups, mail lists, or bulletin boards. You acknowledge and agree that, except as set forth herein, you have no right to modify, edit, alter or enhance any of the materials in any manner. You agree not to "frame" or "mirror" any Materials or third-party content contained on this site on any other server or internet-based device without the advanced written permission of The Cute Kid, Inc. or its licensors, respectively. The limited license granted to you hereby terminates automatically, without notice to you, if you breach any of the terms hereof. This site may be linked to other sites on the World Wide Web or Internet which are not under the control of or maintained by The Cute Kid, Inc. Such links do not constitute an endorsement of such other sites by The Cute Kid, Inc. and you acknowledge that The Cute Kid, Inc. is providing these links to you only as a convenience, and you further agree that The Cute Kid is not responsible for the content of such sites or your use of such sites. Companies and their logos featured on this site may not be affiliated with The Cute Kid, Inc.
You agree that all photos and materials that you submit or transmit to us are owned solely by you and that you assume total, exclusive responsibility and liability for their content and use. You grant TheCuteKid the perpetual right to use and edit your photos on our site, as well as for marketing purposes. You also agree that you will not upload or post any photos or other content that is or may be threatening, profane, harassing, defamatory, unlawful, vulgar, obscene, pornographic, libelous, invasive of another's privacy, hateful, or racially, ethnically or otherwise objectionable, or which may give rise to civil or criminal liability under any applicable law. You further agree that you will fully indemnify and hold The Cute Kid harmless of, from and against any liability, loss, damages, costs and attorneys fees that may be alleged against or incurred by The Cute Kid, Inc. as a result of any and all claims by third parties or law authorities related in any manner to your photos and materials or the use thereof regardless of whether or not The Cute Kid, Inc. pre-screens your content. The Cute Kid, Inc. reserves the right to edit or remove content which violates or which they reasonably believe violates any of the foregoing provisions or any law. Although we attempt to monitor the accuracy and timeliness of materials or third-party content, The Cute Kid, Inc. does not warrant the accuracy or timeliness of same. Accordingly, you acknowledge that this site may include certain inaccuracies or typographical errors which may affect the quality of materials and third-party content and you specifically totally release The Cute Kid, Inc. and its agents and employees from liability for any errors and/or omissions in the materials and third-party content, whether provided by The Cute Kid, Inc. or any third-party. You must be at least eighteen (18) years of age to register a valid contestant in the CuteKid contest and you specifically represent that you are at least eighteen (18) years of age and that you have authority to register for the contestant, to make representations for the contestant, and to utilize this web site for the contestant. YOU AGREE THAT The Cute Kid, Inc. SHALL NOT BE LIABLE TO YOU OR ANY THIRD-PARTY CLAIMING THROUGH YOU FOR, AND YOU INDEMNIFY AND HOLD The Cute Kid, Inc. HARMLESS OF, FROM AND AGAINST, ANY LIABILITY, LOSS, DAMAGE, COST AND/OR ATTORNEY'S FEES INCURRED BY The Cute Kid AS A RESULT OF YOUR DISPLAY, COPYING OR DOWNLOADING INFORMATION OR MATERIAL CONTAINED ON THIS SITE OR YOUR USE OF THIS SITE IN ANY WAY. THE FOREGOING RELEASE, INDEMNIFICATION AND HOLD HARMLESS PRECLUDES ANY LIABILITY BY The Cute Kid, Inc. TO YOU OR ANY THIRD-PARTY FOR ANY DIRECT, INDIRECT, EXTRAORDINARY, EXEMPLARY, PUNITIVE, SPECIAL, INCIDENTAL OR CONSEQUENTIAL DAMAGES (INCLUDING LOSS OF DATA, REVENUE, PROFITS OR OTHER ECONOMIC ADVANTAGE) HOWEVER ARISING, WHETHER FOR BREACH OR IN TORT EVEN IF The Cute Kid, Inc. HAS PREVIOUSLY ADVISED OF THE POSSIBILITY OF SUCH POSSIBLE DAMAGE. IN THE EVENT THE FOREGOING IS HELD UNENFORCEABLE IN ANY WAY, YOU AGREE THAT ANY LIABILITY THAT The Cute Kid, Inc. MAY HAVE OR MAY BE ADJUDICATED TO HAVE SHALL BE LIMITED TO RETURN OF ANY FEES PAID TO The Cute Kid BY YOU IN CONNECTION WITH THE REGISTRATION OF A CONTESTANT OR THE USE OF THIS SITE. The Cute Kid, Inc. controls and operates this site from its headquarters in the United States of America and makes no representations that the materials are appropriate or will be available for use in international locations. If you use this site from outside the United States of America, you are entirely responsible for compliance with applicable local laws, including but not limited to the export and import laws of other countries in relation to the materials and third-party content associated with this site. There are no representations, promises or warranties other than those, if any, expressly made at this web site. 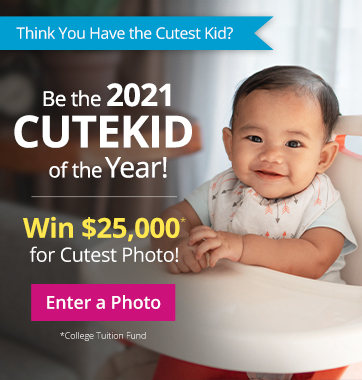 Specifically, but not by way of limitation, TheCuteKid and The Cute Kid, Inc. and its agents and assigns, make no representations, promises or warranties of your success or failure by submitting photos pursuant to this web site and these rules. THERE ARE NO IMPLIED WARRANTIES OF MERCHANTABILITY OR FITNESS FOR ANY PARTICULAR PURPOSE AND ANY SUCH WARRANTIES ARE EXPRESSLY DISCLAIMED BY US AND WAIVED BY YOU. If you violate the terms of this site, The Cute Kid, Inc. reserves the right to terminate service to you without further notice or explanation. Although The Cute Kid, Inc.'s preferred course of action is to advise you of your violation of terms, breach or inappropriate behavior, and to suggest corrective action, The Cute Kid, Inc. is not bound to do so and may exercise its right to terminate at any time. Any action related to these Terms will be governed by New York Law and controlling U.S. Law without regard to the choice or conflicts of law provisions of any jurisdiction. You agree to the jurisdiction of the courts located in Nassau County, New York, for the resolution of any and all disputes arising from or related to these Terms and/or your use of the site, and you specifically waive the right to bring an action in any other forum, and in the event you bring action in any other forum The Cute Kid, Inc. shall have the right to have same dismissed or transferred to the contractual forum agreed to above. The failure of The Cute Kid, Inc. to enforce any right or provision in these Terms shall not constitute a waiver of such right or provision unless such waiver is acknowledged and agreed to by The Cute Kid, Inc. in writing. The Terms comprises the entire agreement between you and The Cute Kid, Inc. and supersede all prior or contemporaneous negotiations, discussions or agreements, if any, between the parties regarding the relationship between them. Your use of the Site, however, is subject to the additional disclaimers and caveats that may appear throughout the site. The CuteKid will refund your contest entry as long as your request is received before the contest is closed. Please note, refunds are only available for current contest, no refunds will be provided for past contest entries. Please contact our customer support, support@thecutekid.com before the contest end date for a full refund on the current month contest. 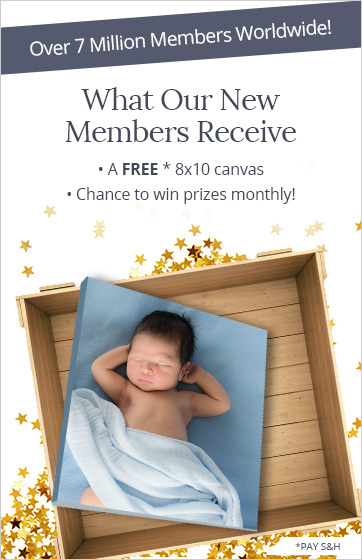 By becoming a member of The CuteKid, you may receive emails including special offers and promotions from The CuteKid. You may opt out from receiving CuteKid emails, by clicking the unsubscribe button included in all of our emails.